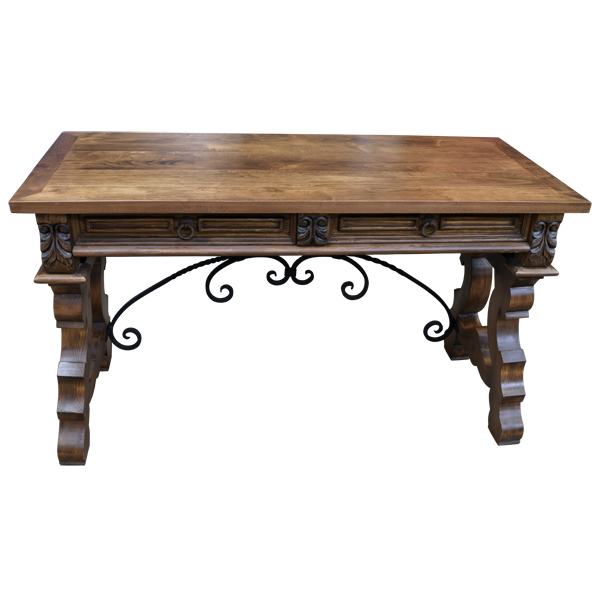 This handcrafted, Spanish colonial style desk has a robust design with gorgeous, hand carved details. 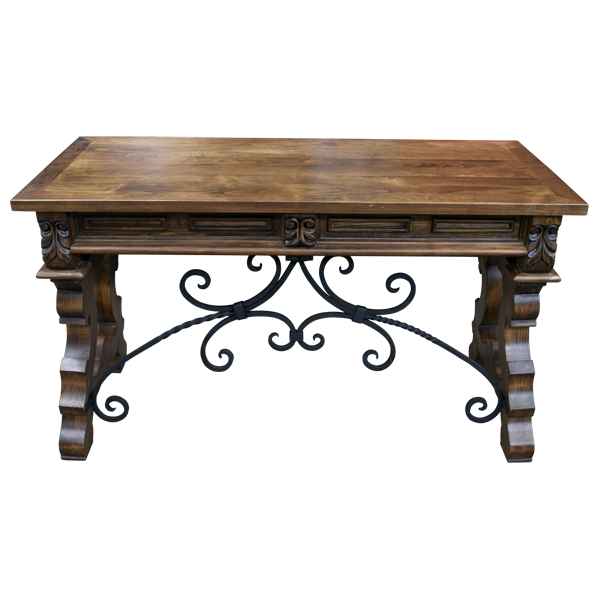 On the front of the desk, directly under the top rim, are rectangular, geometric cut designs, and the designs are divided by a hand carved, floral design in its center. 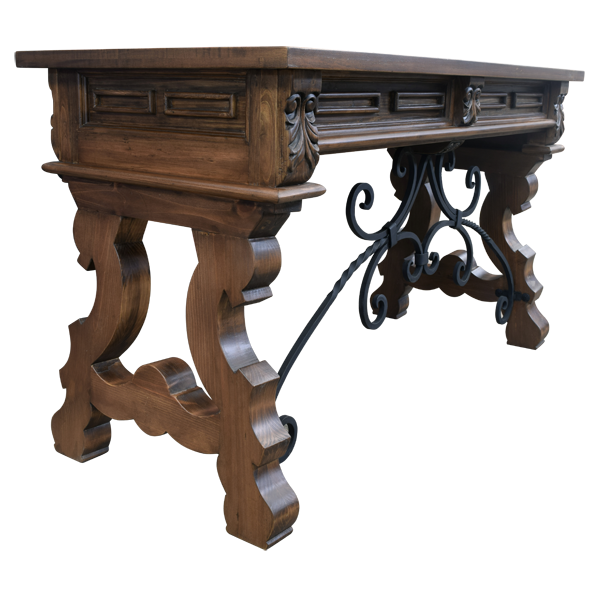 The hand carved, floral design is continued on both sides of the front of the desk, and its lateral sides have matching, geometric cut designs. 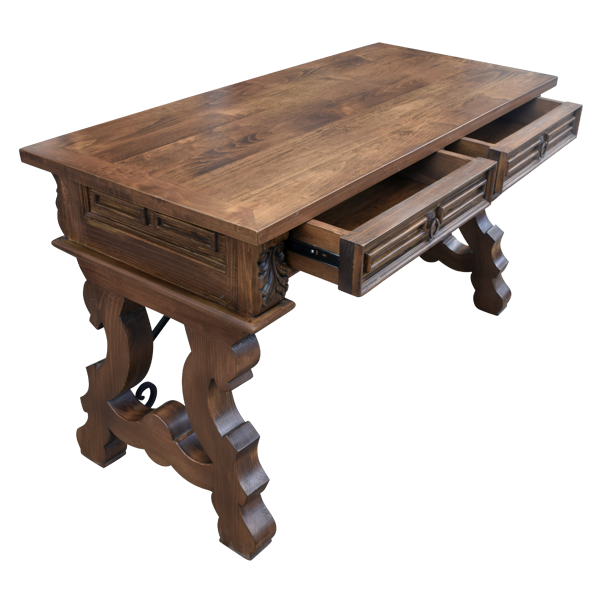 The desk has an open, wide, rectangular top with a classic, straight top rim, and there are two drawers under the top rim. Each drawer has a hand forged, iron ring in its center. 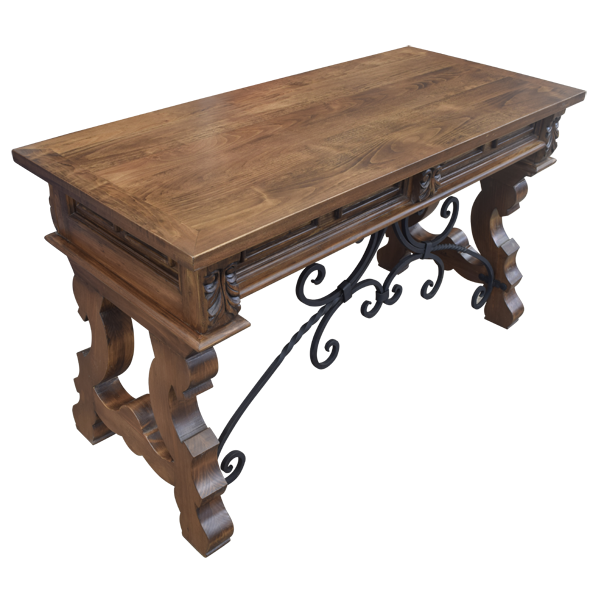 It is raised on ornate, cabriole style, scroll legs, and the legs are connected by curved crossbars. 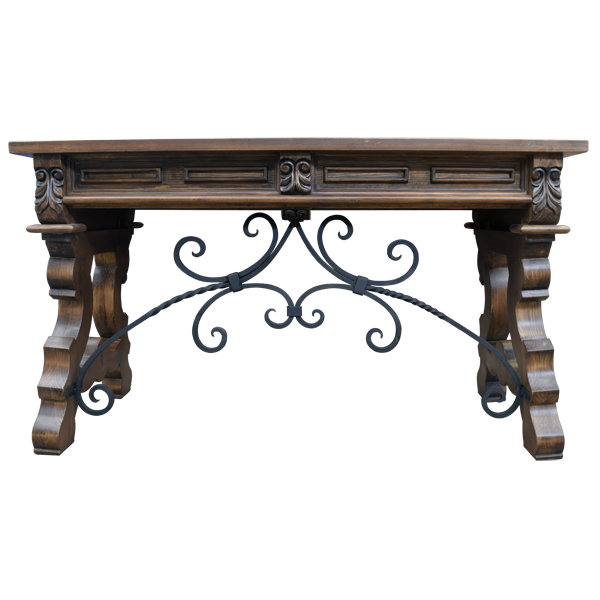 Centered in each crossbar and running through the lower center of the desk are beautiful, curved, hand forged iron work. 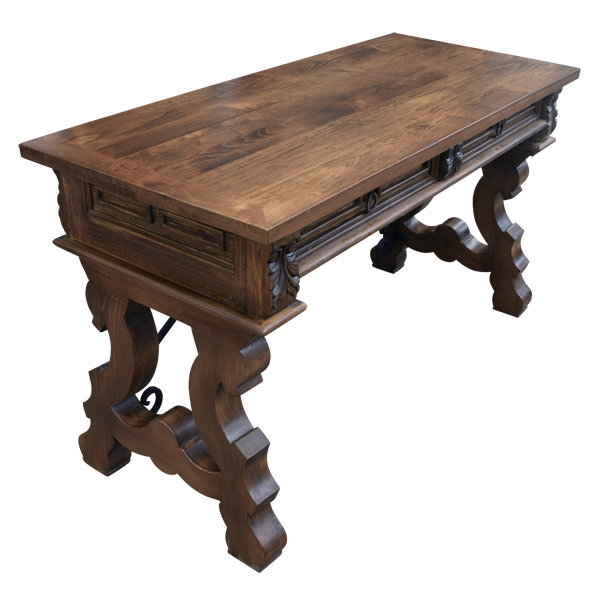 Finished with a brown, antique stain, the desk is made with the best, sustainable solid wood available. It is 100% customizable.